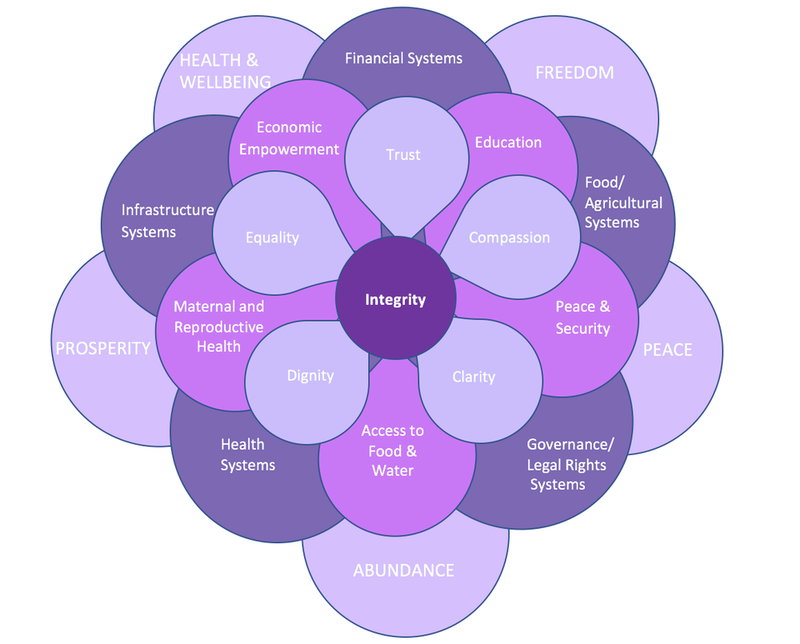 THE FIVE KEYS provide a holistic approach to addressing the most critical challenges facing women and girls within their communities and larger societies - challenges such as poverty, malnutrition, infant mortality, violence, conflict and lack of education. The Rockflower Flower Wheel demonstrates a wider understanding of our It Takes Five ™ concept, an unbroken connection from the center, the "Rock" to the five petals growing outwards in exponential layers of five. The key is in the overlapping nature. By applying each PRINCIPLE to each KEY to each SYSTEM to each OUTCOME - there exists the potential for a complete and regenerative model of transformation.